Simple brushing and flossing are the most common ways to maintain the teeth. Also, using of toothpaste for the dentition is helpful but it is not enough and in fact, it may induce harm to our teeth. Because of that, many people find other ways to maintain the beauty of their teeth. Here are some odd ways that your dentist won’t tell you. Using Xylitol: Xylitol is a natural substitute to sugar. Also, it protects our dentition by eliminating bacteria like Streptococcus and other germs that is inside the mouth. And what’s even better? It keeps our breath fresh and prevents plaques from multiplying. Using charcoal: Sounds crazy, right? Charcoal is one thing that gets the stain and toxin from the teeth. Obviously, after using charcoal, our mouth will become black but it is not permanent. Making charcoal as a teeth whitener is better than having an expensive and dangerous teeth bleaching. Note: Do not use the regular charcoal that you are using for grilling. However, you can use the activated charcoal that is available in capsules. 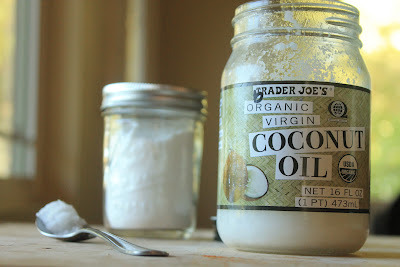 Using coconut oil: We all know for a fact that we can get many benefits from coconut. One is coconut oil – coconut oil kills bacteria (particularly Candida which can cause gum swelling, tooth decay and more) in a natural way. Important reminder: Do not ingest the oil. Vitamin D Intake: Sunlight is one source of vitamin D but it doesn’t mean that you are going to put yourself under the heat of the sun just to have a healthy teeth. Actually, there are many foods that have vitamin D like eggs, salmons, mushrooms and many more. This entry was posted in Dental Health by Editor. Bookmark the permalink.